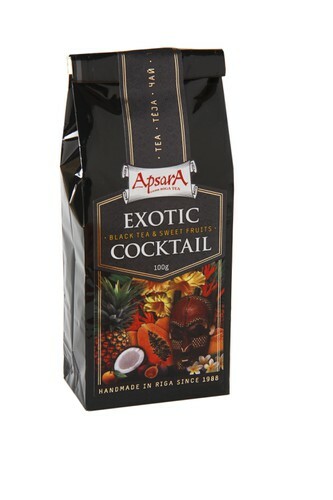 Ingredients: Ceylon black tea, dried apples, hibiscus petals, rose-hips, orange peels. Flavour of blackberry, apricot and coconut. Taste: sweat and sour fruits in good balance with hearty black tea infusion. Features&recomendation with food: Accompanied well with desserts, fruits and sweets. Sugar or milk can be added. Product highligths: Black tea well blended with dried fruits and flower petals. One of most popular tea of ours thanks to widely loved taste features.